The Bikes and Beers cycling tour is a great way to spend an afternoon tasting your way through Windsor’s breweries and pubs.The four-hour ride includes tastings and tours as well as snacks and scenic stops along the way. You can bring your own ride or rent a single or tandem bike for the 20-km ride. What follows is blogger, Cass Enright&apos;s account of his trip. Things are changing in Windsor. At least it feels that way, because I’ve actually never visited the city before. From a beer perspective, there wasn’t much to draw me there in the past. The craft beer scene began and ended with the old Walkerville brewery from the early and mid 2000s, whose beers were fairly bland and uninteresting. The brewery declared bankruptcy in 2007, and it did not seem missed. That’s pretty much Windsor’s history in the craft beer movement, at least what I could tell. The beer scene started to change a couple of years ago with news of the rebirth of Walkerville Brewery, the debut of a craft beer festival and some chatter in The Bar Towel’s Forum. But Windsor remained off my radar. It was most welcome, however, to be contacted by Ontario’s Southwest to visit Windsor to check out the beer scene there. This was a city I knew all my life and is literally just down the highway from my home in Toronto, but almost completely foreign. This would be a most interesting visit to see if my perceptions of Windsor had changed. 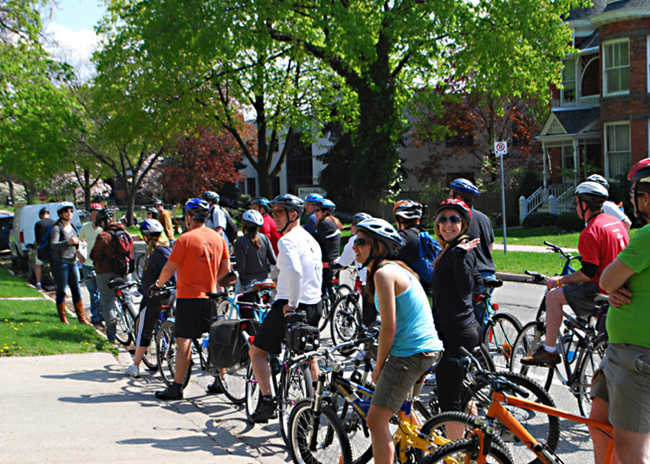 My visit would comprise of a “Bikes and Beers” cycling tour, a monthly event hosted by WindsorEats, a local food and drink website and consultancy covering Windsor and Essex County. Due to timing, Adriano from WindsorEats generously offered to give me a private tour of the city. We met on a bright and sunny Saturday afternoon in Willistead Park, a picturesque park located in the city’s Walkerville neighbourhood (which is the host location for Windsor’s upcoming beer festival in October, also run by WindsorEats). Our first stop was within the same neighbourhood, riding past some attractive historic homes to the Walkerville Brewery, located just off Wyandotte Street East on Argyle Road. The building is immediately striking, a vast wall of red brick facing you upon approach. The history of the location is an incredibly interesting one, as it was one of the original rack warehouses of the Hiram Walker Distillery, of which others remain in use across the street, and the distillery itself located only a few short blocks away. The building gives the brewery an immediate uniqueness, as the high ceilings and expanse provides an almost hangar-like feeling. Within the main doors lies an open, airy taproom, with a long bar and numerous tables stretching to the back of the building. Within sight of the tasting room is the brewery itself, a spacious facility with numerous tanks and packaging lines. Within the brewery also lies a small barrel aging area, the only time I saw barrels in use in Windsor. Walkerville Brewery is, of course, named for the aforementioned Walkerville neighbourhood, in turn named for Hiram Walker himself. One cannot escape the history of Hiram here, and the residents are very proud of the history. He literally built the neighbourhood, as he owned 468 acres around the distillery and built many of the homes lived in by the distillery’s workers (although he himself actually lived across the river in Detroit). Adorning the walls of the brewery are numerous museum-like panels outlining the history of the neighbourhood, so a stop to the Walkerville Brewery provides not only a nice beer, but an interesting view into the past of Windsor. Walkerville produces a wide range of beers - during my visit they had their flagship Honest Lager, Loophole Ale (a kolsch), an IPA, a Milk Stout and a Dunkel. A barrel-aged Scotch Ale was released shortly previously to my visit, with only a few bottles left in the to-go fridge. Although retaining the same name, this incarnation of Walkerville has new ownership and a new outlook on beer from previous days. If your memories of Walkerville are only the original lager (as mine were), the new brewery is definitely worth investigating. This stop was my first indication that Windsorites have taste buds for the more interesting. After finishing up at Walkerville, Adriano took us through the commercial area of the neighbourhood along Wyandotte. Biking past such storefronts as the metaphysical shop Smudge, old-school Tony’s Shoe Repair, vintage Harvey Lo’s Yummy House and modern restaurant The Willistead, the streetscape is authentically eclectic. Heading south of Wyandotte led us to Windsor’s Little Italy neighbourhood, to our second stop, Motor Burger on Erie Street East. Motor Burger is the kind of establishment that helps put a beer scene like Windsor’s on the map. 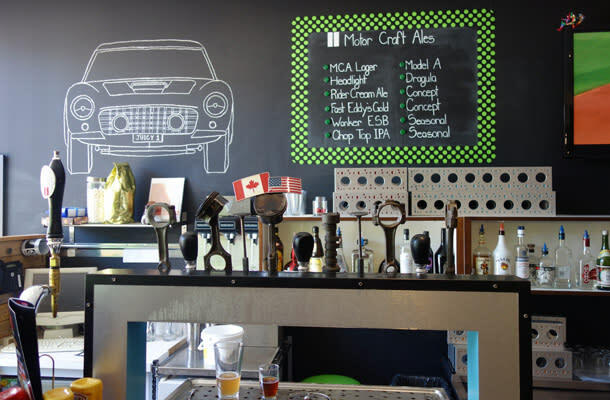 Motor Burger is a brewery and restaurant, with Motor Craft Ales being their beer brand. Motor Burger has a familiar urban restaurant layout, with a long bar down the left hand side of the space, with tables lining the floor leading back to the kitchen. As the name implies, the restaurant features an automotive theme throughout its decor and menu quite prominently. The brewery is located in the basement, which I can only describe as Buffalo Bill-esque. A vast, multi-roomed and seemingly endless space took us to the brewery, which remarkably is all brewed on a single Brew Magic system. On the system all the Motor Craft Ales are brewed, and it was heartening to see so many unique styles on offer. They included a wide range of styles including lager and cream ale, bitter and IPA, amber (Motor A, their first beer) and brown ale and more. A couple of interesting recipes were on offer during my visit, including the refreshing Deja Blue with blueberries and lavender, and the balanced Jalopy with smoked malt and jalapeno. The food at Motor Burger is also top-notch, as their burgers have been recognized across the editorial spectrum including Reader’s Digest and Thrillist. Dig the nachos too. Alas, one beer I was quite keen to try was the recent collaboration between Motor Craft and Batch Brewing of Detroit, which sold out prior to my arrival. Again, evidence that unique beers are popular here as elsewhere. Keep it up Motor Burger, and save me a pint for next time. Continuing on led towards and along Windsor’s pretty waterfront, where uninterrupted public green space spans the entirety of the downtown core. It’s from this location that the unique Detroit skyline is in full view. At this point in the tour it really hit how remarkably close the two cities are. Being separated by only about a half a mile of river, the two cities are genuinely and intrinsically linked, both socially and professionally. 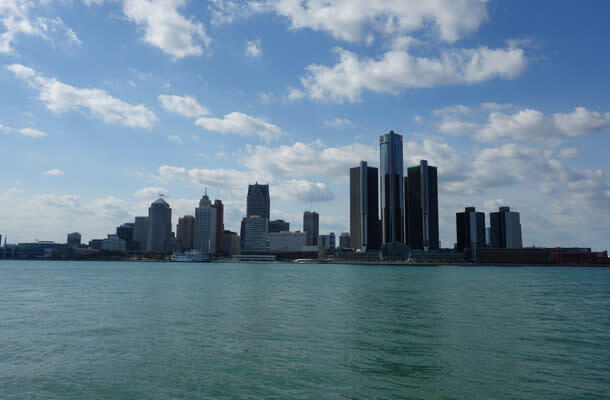 Due to Ontario’s lower drinking age and the presence of the Caesars&apos; casino on the Windsor side, many folks from Detroit regularly make the trip over for fun. And with Detroit’s major attractions (pro sports teams, concerts, etc. ), Windsorites also do the same. It would be amiss not to say that a beer trip to Windsor is enriched with a trip across the border to experience Detroit’s dynamic scene. In fact, it truly makes a visit to Windsor even more compelling and attractive. However, we’ll save Detroit for another time. For now, let’s continue on the Windsor journey. Heading up from the riverfront, Adriano took us to Craft Heads Brewing, located right in the heart of downtown on University Avenue West. Formerly a blues bar, Craft Heads opened within the last year in a basement location sunken below street level but with windows above ground. 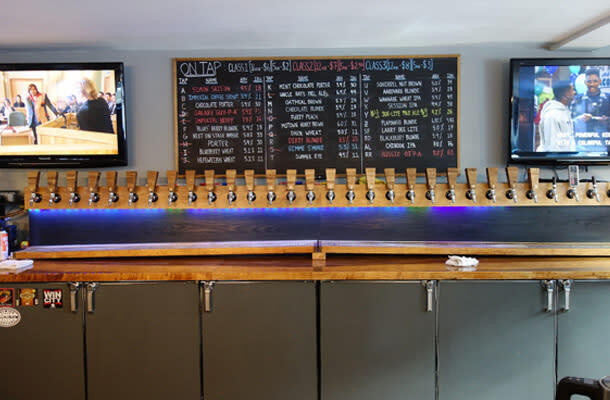 A large open space holds numerous tables, and the back bar encompasses a large tap wall with beers labeled “A” to “Z”. Similar to Motor Burger, all of Craft Heads beers are brewed on a tiny system, again remarkable to maintain a line-up that purports to be 30 beers. Due to the inherent capacity of such a small system, a few beers were unavailable on our visit, but the line-up included a diverse range of styles including a saison, coffee stout, honey brown, hefeweizen, blackberry blonde, rye beer, oatmeal brown and multiple porters. Great to see this kind of diversity in a beer line-up. Blind Owl on Oullette, the main nightlife strip in Windsor’s core. The Blind Owl, opened only a few months ago, is a tiny, attractive bar, with unique decor and a focus on craft cocktails. The beer list is a broad one that includes numerous craft and mass-market selections. It’s not the kind of place my ‘big-city’ biases towards Windsor would have expected, as it’s a definitely a cool spot and a welcome respite from the raucous and unappealing party bars located down the street. A must stop while in downtown, for sure. Continuing along University Avenue led us to Brew Windsor, located on the east portion of the street past the Caesars&apos; casino zone. Brew has a unique layout, as it’s literally in an old multi-level residential building, the brewery and taproom located on the ground floor. The ground floor is a lively and intimate space, with a small side open-air area. What was quite attractive about Brew was their upper terrace, a narrow patio with a “bi-skyline” view of both Detroit and Windsor. Brew is focusing on only a few core brands at this point in time, with an unfiltered lager and a stout available during my visit. Let’s hope they expand their style experimentation at this promising spot in town soon. We headed back along the riverfront, all the way past the Ambassador Bridge to one of Windsor’s oldest neighbourhoods, Sandwichtown. Here we stopped in at Rock Bottom (not affiliated with the U.S. brewpub chain), a multi-tap bar with 30 beers on draught available. Rock Bottom has a classic American pub feel, with wooden bars and tables, mass-market beer paraphernalia and broken peanut shells strewn across the floors. The tap line-up was interesting for Windsor, featuring Great Lakes, Amsterdam, Flying Monkeys, Stone, Muskoka, Central City and more, but I have to admit that coming from Toronto I am a bit spoiled. Because of that, I was hoping for more local beers in the line-up, with only Walkerville making an appearance. But as Windsor seems to be a market ripe to embrace unique craft beers, brewers from other parts of the province would be wise to make the effort to distribute their beers to Ontario’s Southwest. My suspicions is they would be gulped down quite quickly. We headed back along University Avenue towards downtown, making our final stop of the tour at the Windsor Beer Exchange. Here live music is common, alongside foosball, pool and a selection of some vintage video games. A small but well-curated selection of ten Ontario draught beers were available, including Craft Heads, Bayside, Descendants, Maclean’s, Railway City and others. One thing that was very interesting about this spot was their “variable pricing” for beers, where pints were priced in real-time based upon each line’s popularity, or lack thereof. And with that, our beer extravaganza of Windsor wrapped up. My guide Adrianos clearly a passionate Windsorite, and his enthusiasm for the region shows. And through his numerous initiatives to promote the area, he is sharing this passion everyday. I’d highly recommend you take a look at his tours for a great way to see the beer scene of the city. And as Windsor is incredibly flat, it makes for a very easy and low-effort ride to get around town. Windsor is a city where its beer scene is clearly emerging along the trend lines seen across Ontario. Featuring four local craft breweries now, and more on the way (Rock Bottom is building a brewery next to their bar, and there&apos;s a sign up for a Midian Brewing on Wyandotte), the appetite for good beer is evident. There is quite a bit of style variation in the scene, and hopefully the local brewers continue to push themselves to experiment further. Windsor pleasantly surprised me, a city that isn’t just about OV anymore, where your dollar goes significantly further than in Toronto, has a delicious local style of pizza, a lively riverfront and friendly residents. It’s a ride down the highway I look forward to making again. 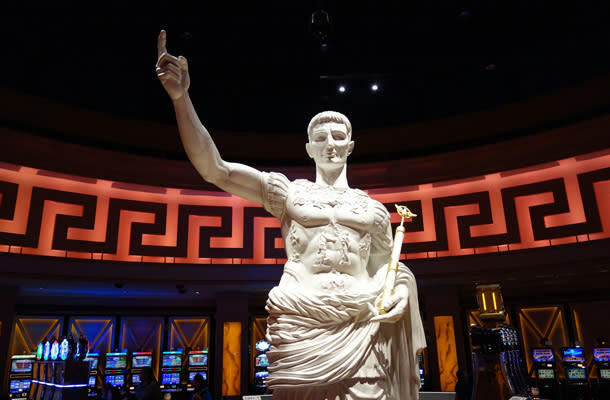 If you are thinking about taking a trip yourself, there are numerous convenient accommodation options within the downtown core and surrounding area, including Caesars Windsor Hotel and Casino, and with reasonably priced cabs and a city transit system, it is easy to get around. Cass Enright is the founder of The Bar Towel, a digital journal about good beer and culture. The Bar Towel focuses on smart, intelligent and informative writing about beer, its personalities, its culture, and more, across Ontario and beyond.